In all fairness, if you have a She Shed then you must have a Man Cave. 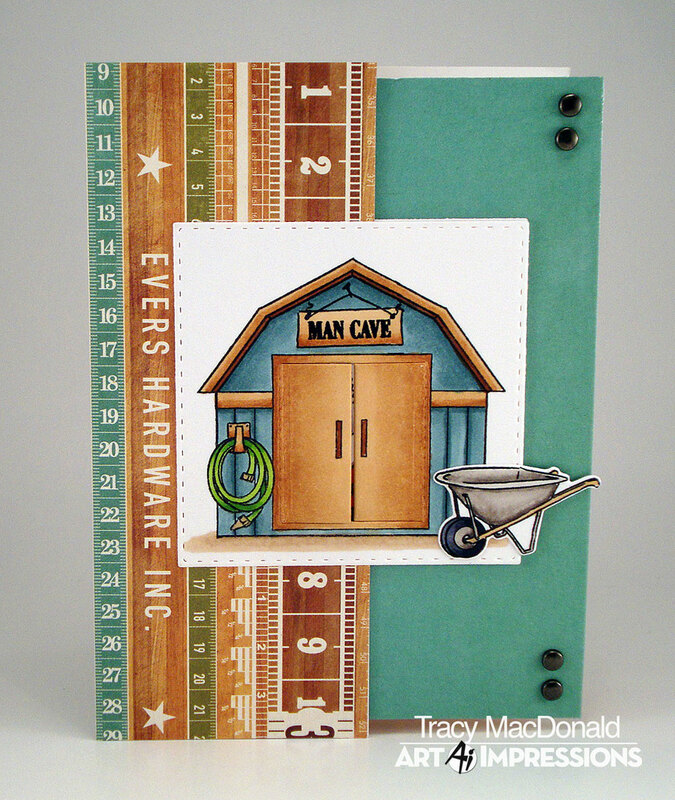 LOL This set called Tool Shed MTF from Art Impressions is perfect for your resident handy man. More layering fun with this one. 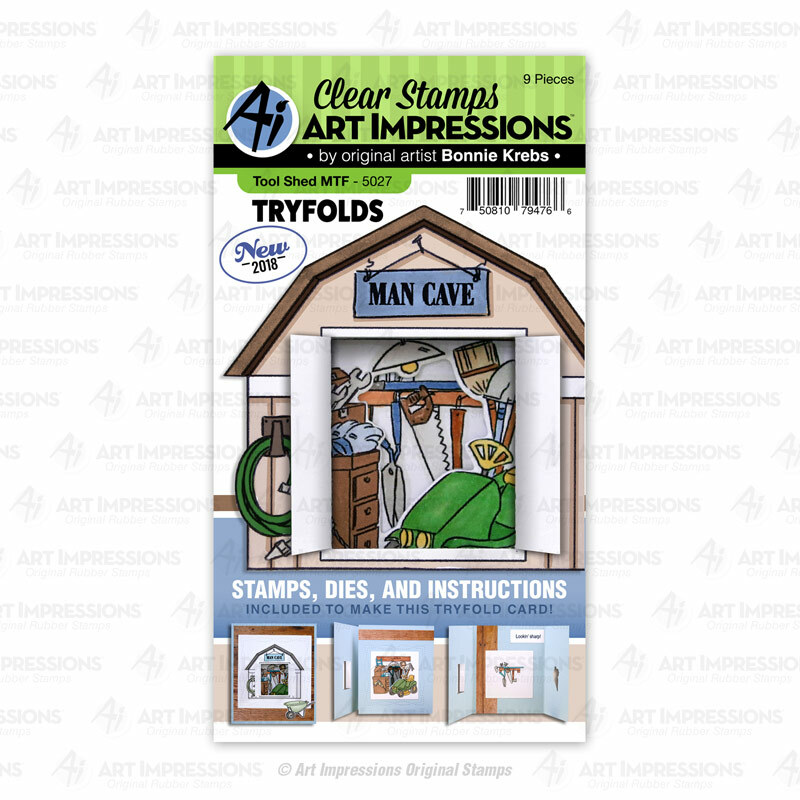 Stamps--Art Impressions "Tool Shed MFT"
So cute! Any guy would just love to have this man cave. Terrific cards!! 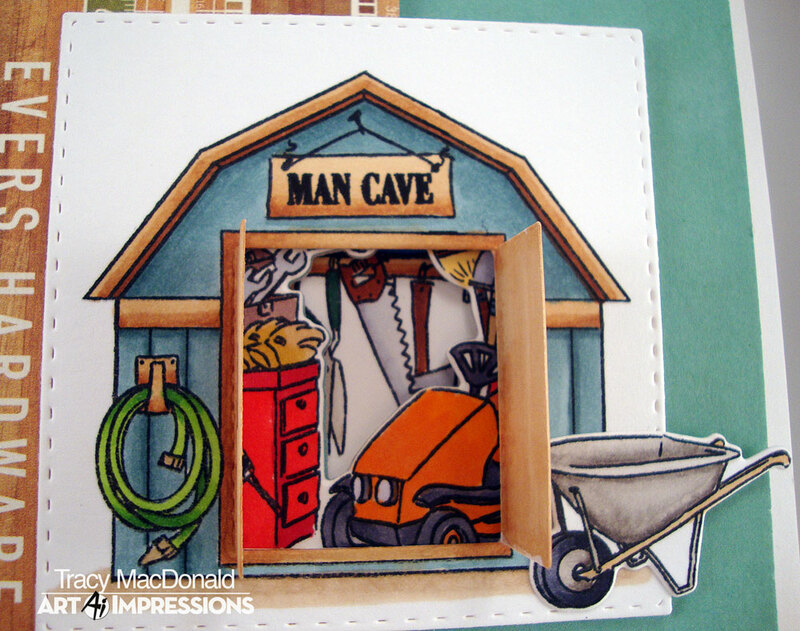 It's always a dilemma what to make for a guy but your man shed is so realistic and beautifully done and I love the papers you used for each one too! What fun! Beautiful coloring. Love the reveal with the open doors and all the goodies inside! A great male card Tracy, I can think of several relatives this would suit, love all the elements inside the shed too. Oh, this is so awesome! 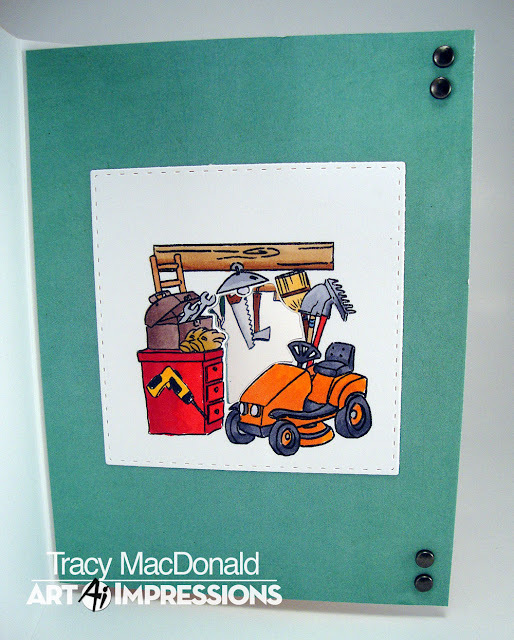 SO perfect for those masculine card designs! Absolutely love this tri-fold system. 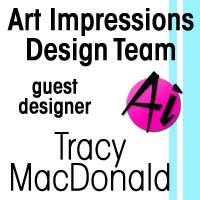 A little interactive fun for your card recipients! And man, your coloring is always SO spot on! Looks great , they all do!!!! 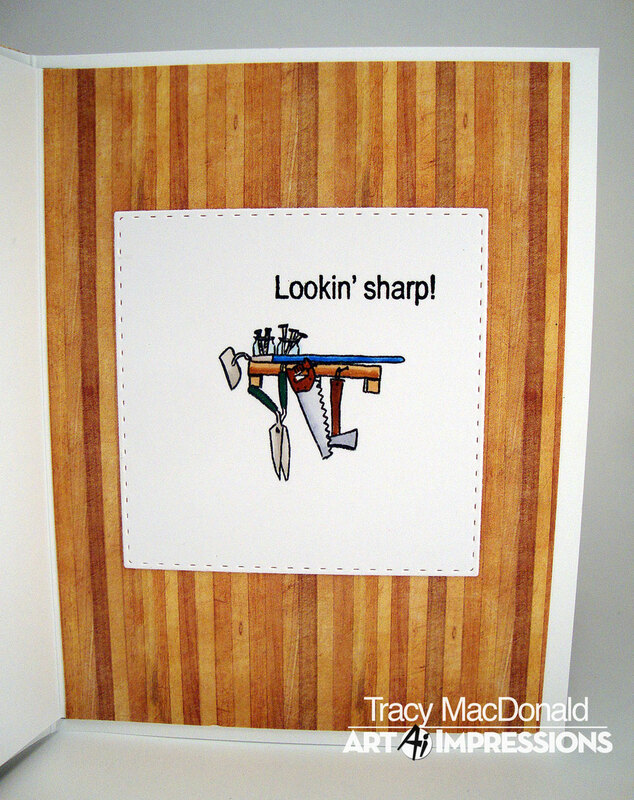 Terrific guy card! I know someone who has a garage that looks just like this!